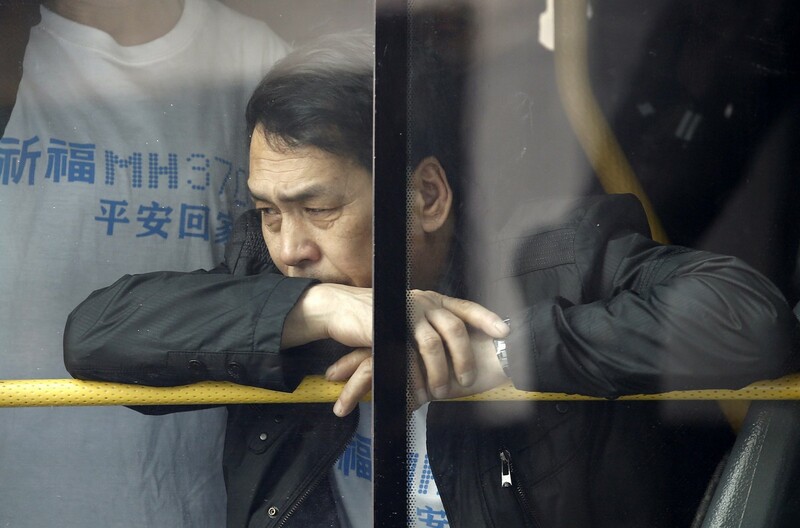 Family members of passengers onboard Malaysia Airlines Flight MH370 look out of the windows of a bus before heading to the Malaysian embassy, outside the Lido Hotel in Beijing, March 25, 2014. 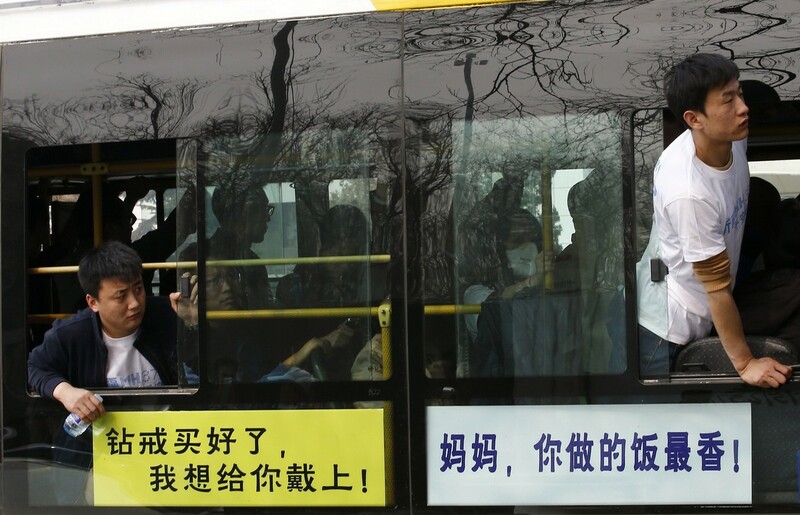 The placards seen on the bus are put up by family members and relatives, and they read, "The diamond ring has been bought, I want to put it on for you!" 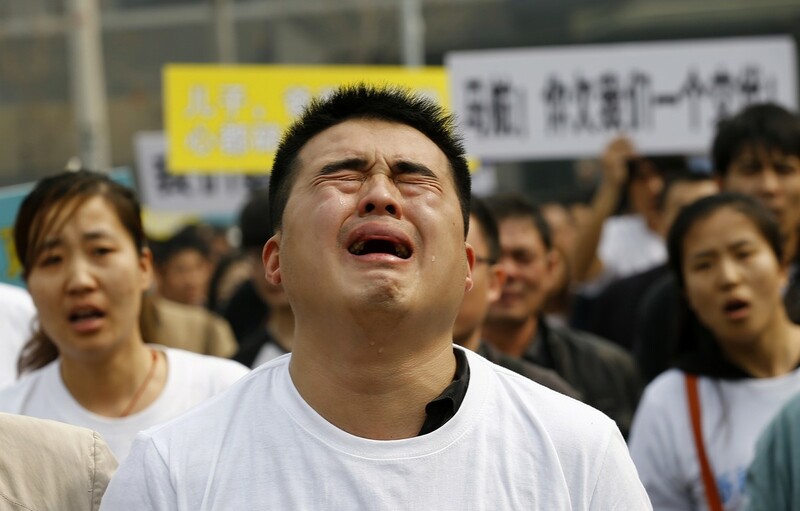 (L) and "Mom, your cooking is the best." 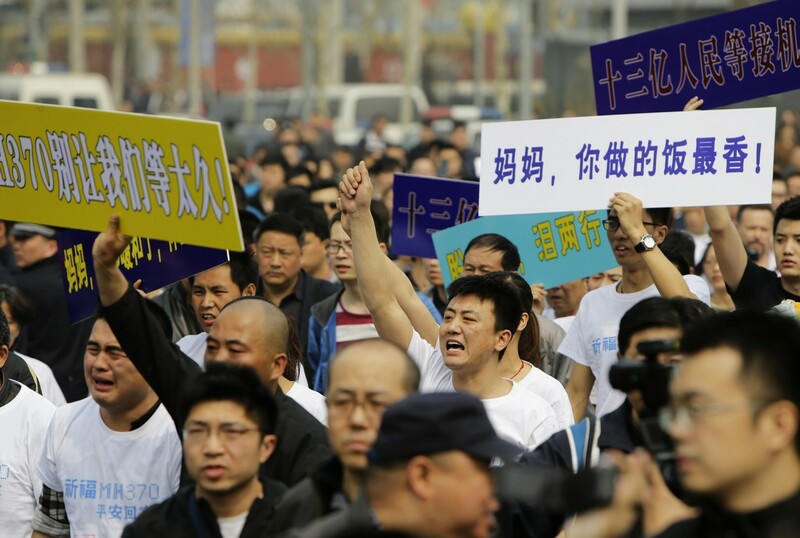 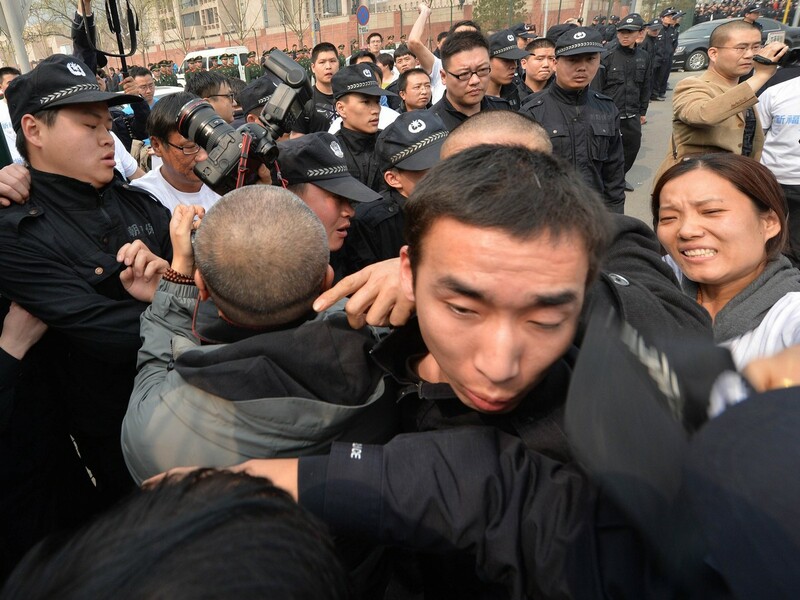 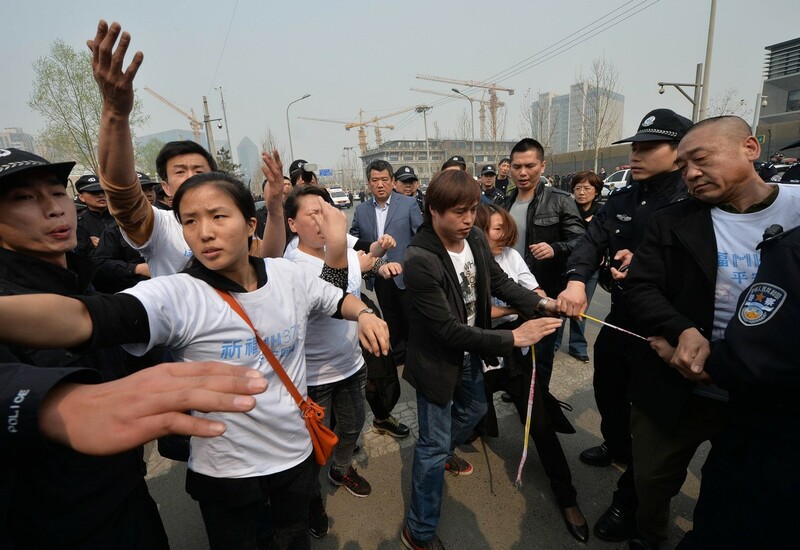 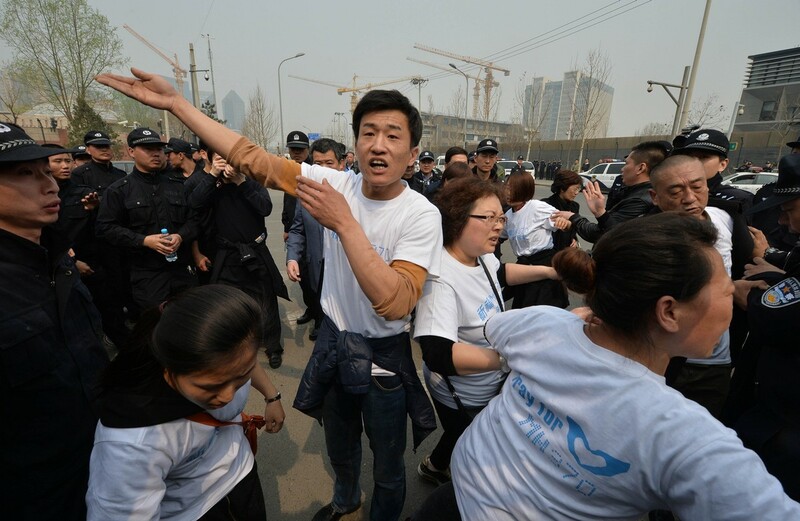 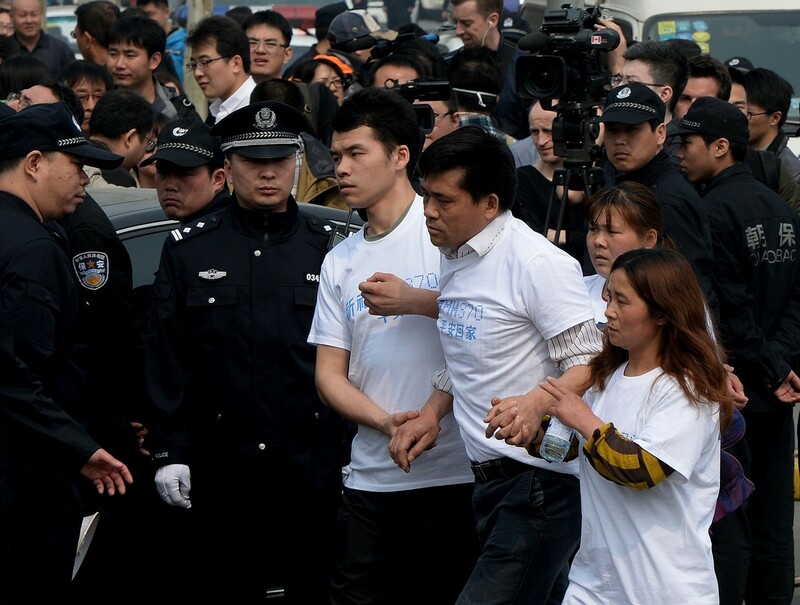 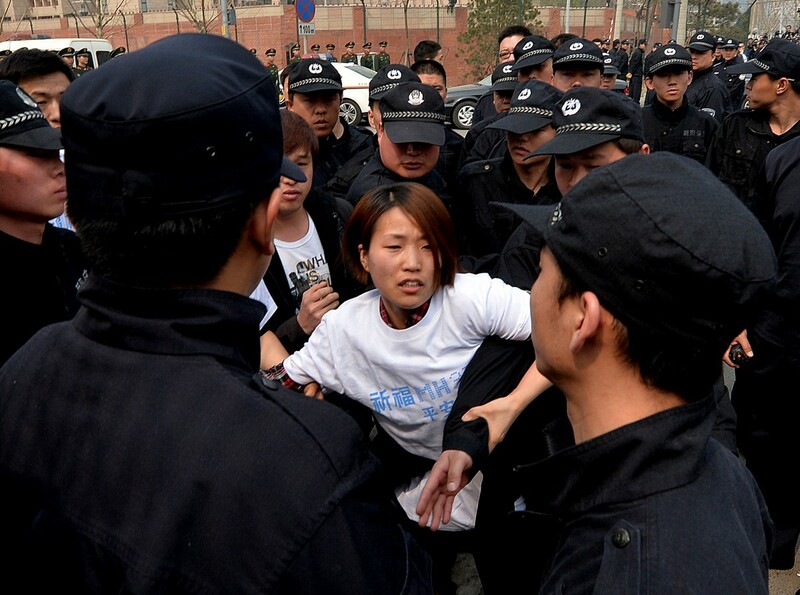 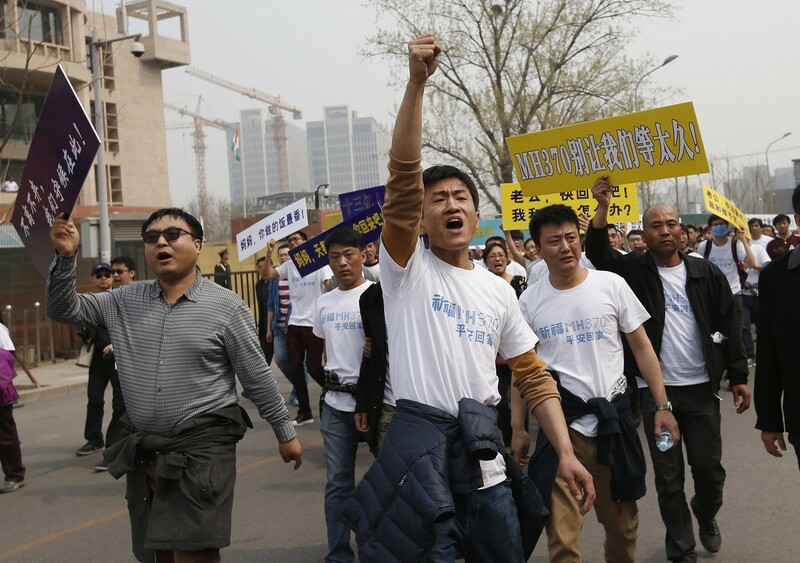 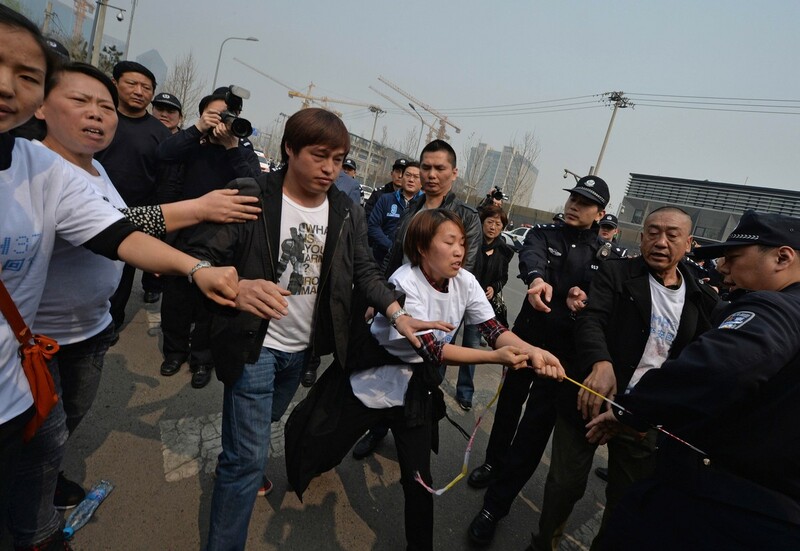 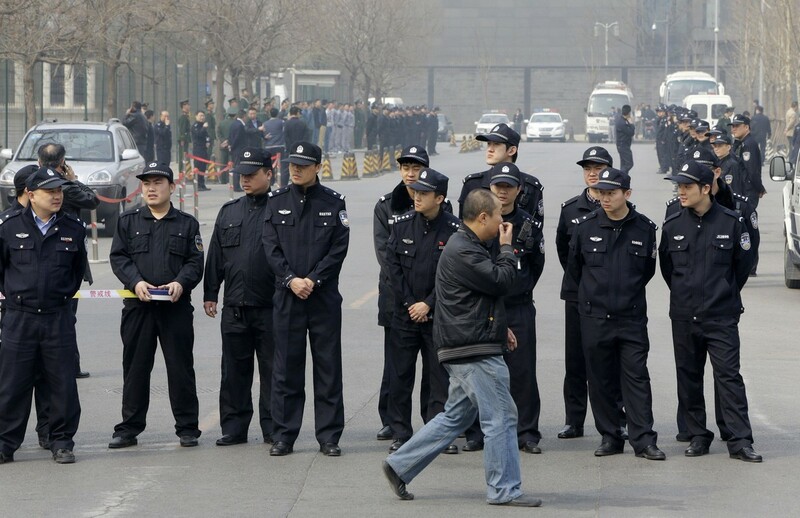 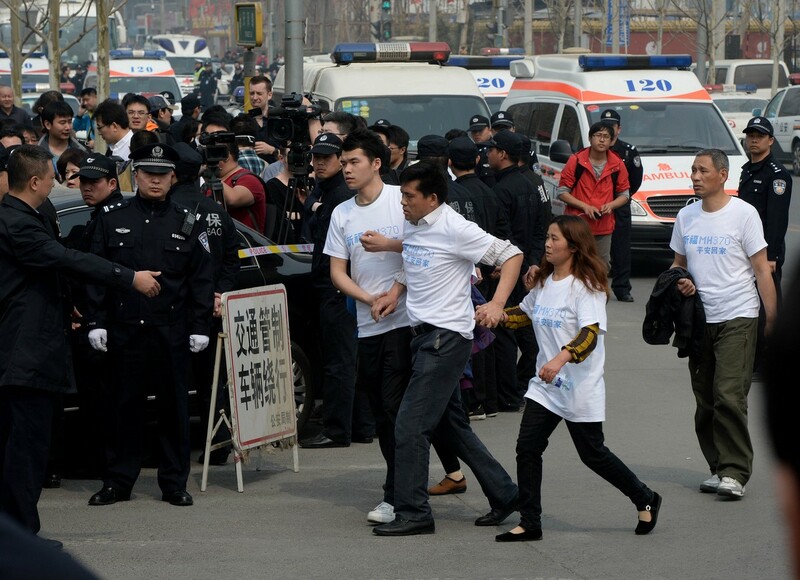 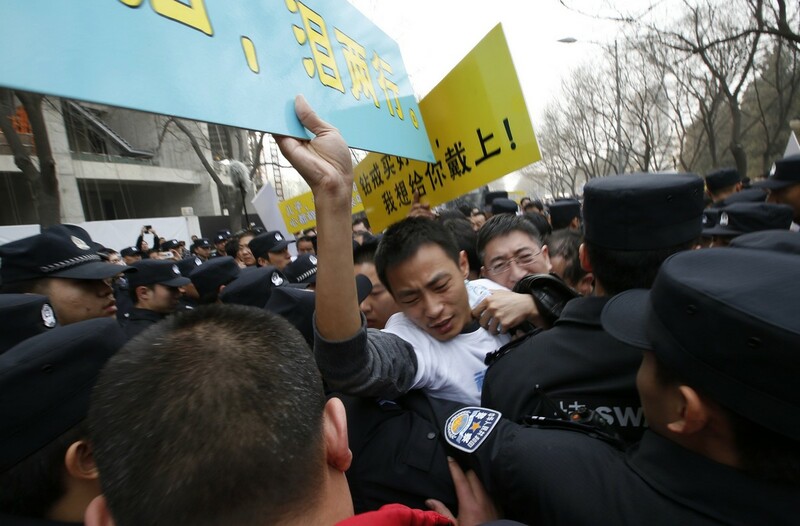 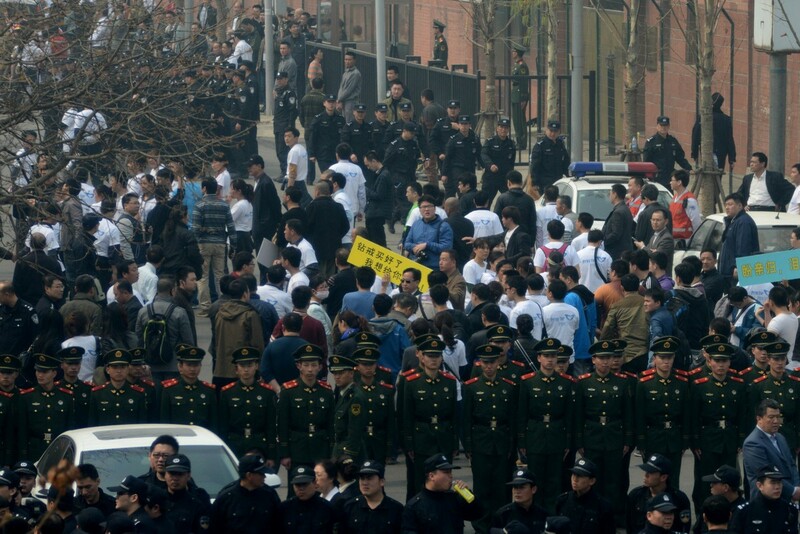 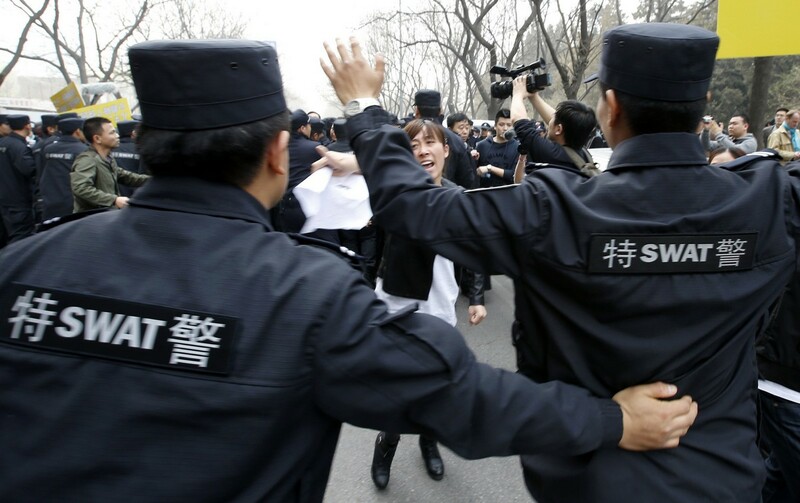 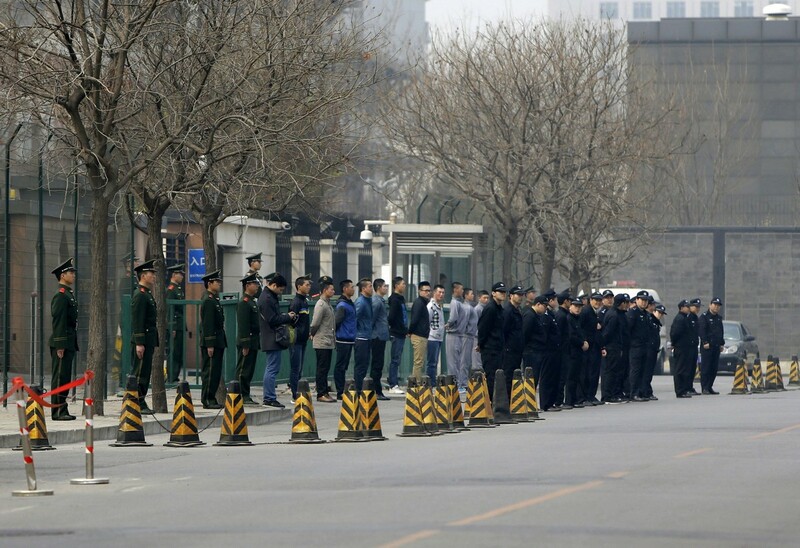 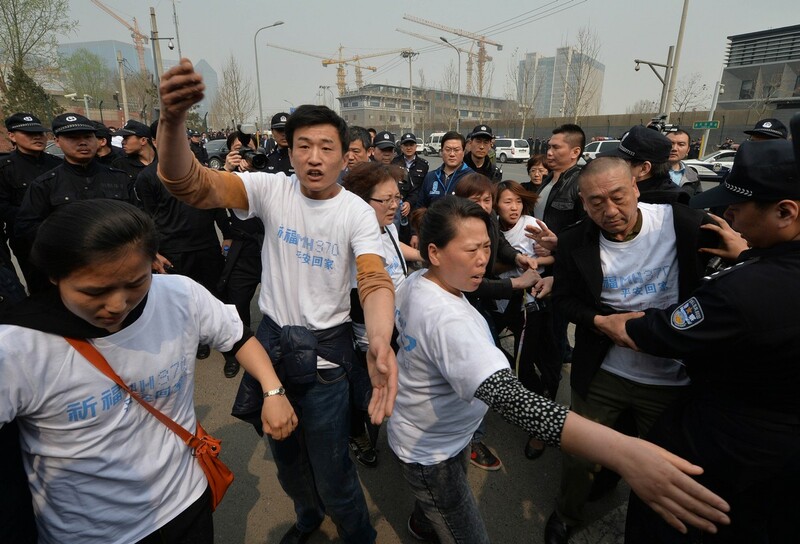 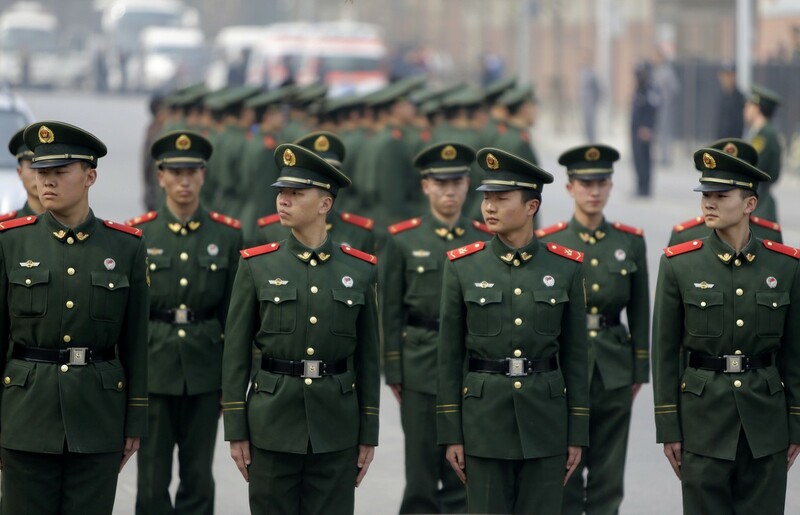 Police have urged a crowd gathered outside the Malaysian Embassy in Beijing to maintain order and avoid confrontations as the group expresses anger over the alleged mishandling of the missing flight 370. 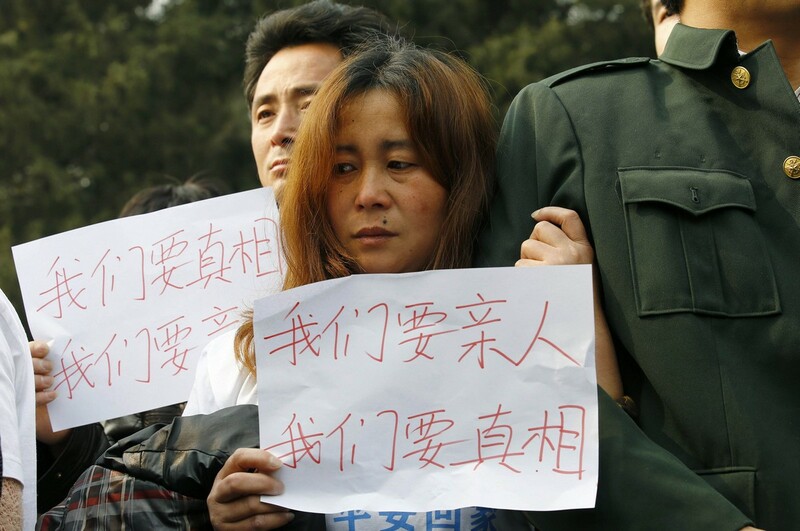 An estimated 300 distressed family and friends of the Chinese passengers on the missing jetliner massed in front of the embassy on Tuesday to demand answers. 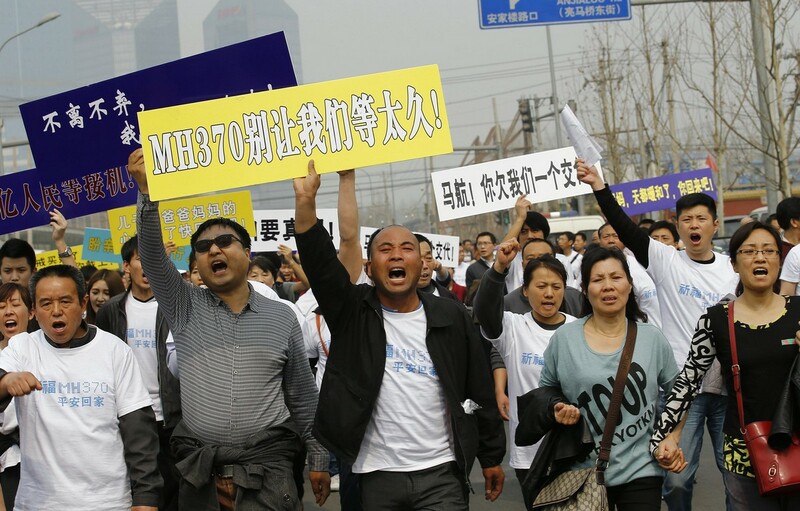 The move came after the group released a joint statement that accused Malaysian authorities of hiding the truth about the potential air disaster. 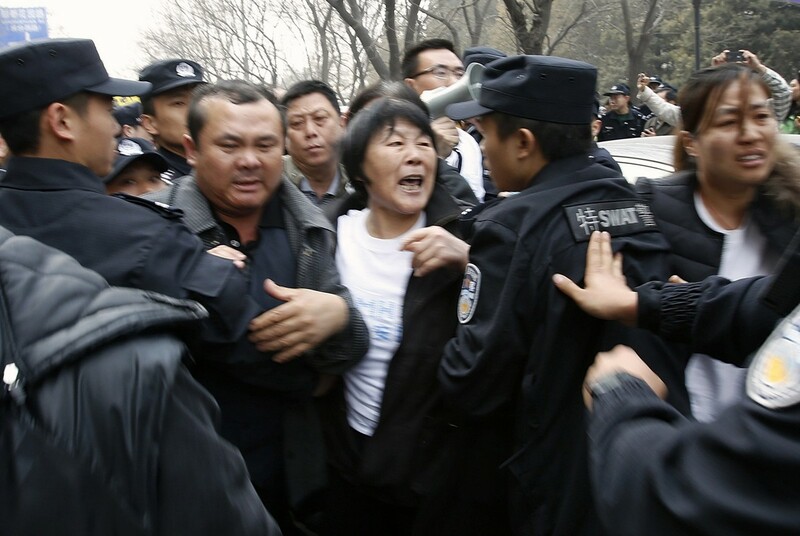 A woman on Tuesday held a banner that read, "We need our relatives. 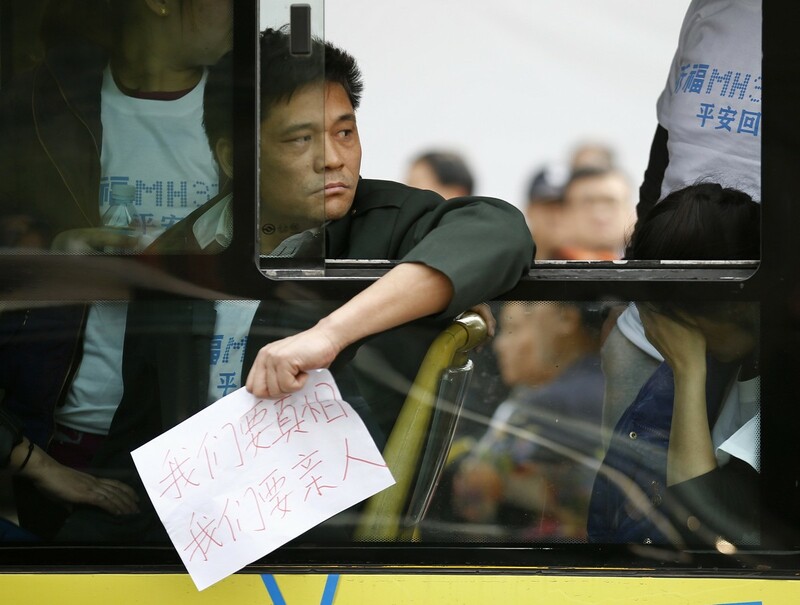 We need truth." 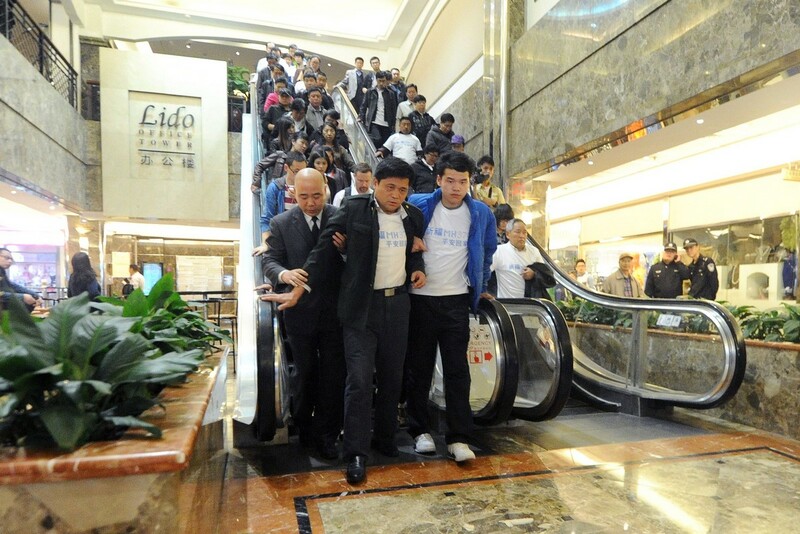 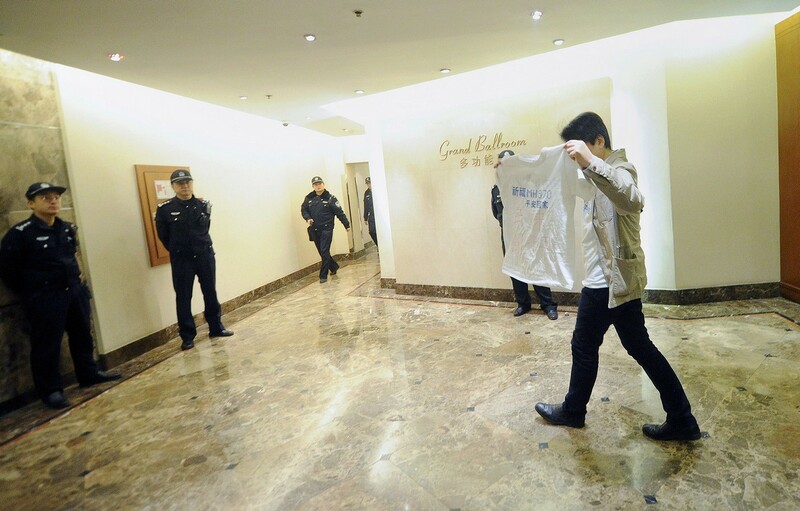 According to police, a deputy secretary general of the State Council is scheduled to meet with loved ones of the passengers in the hotel where they have been staying since the plane went missing on March 8. 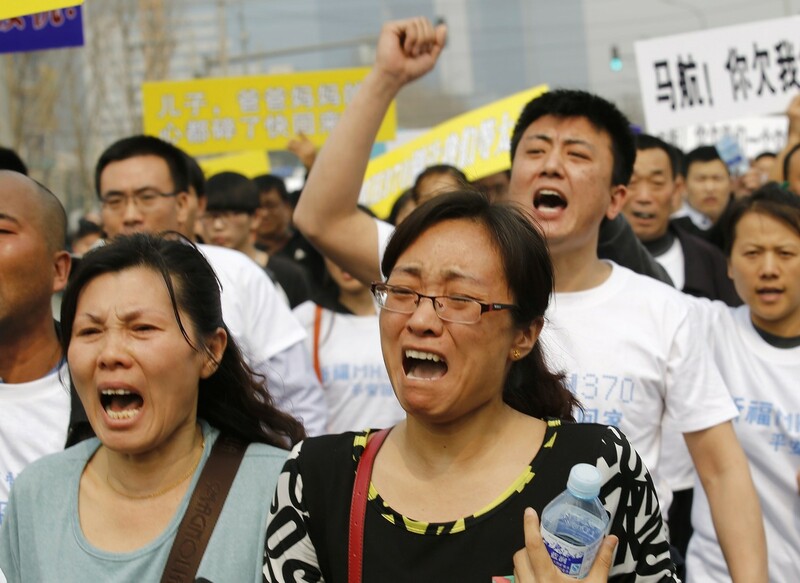 Embattled Malaysia Airlines responded to the angry criticism of its handling of missing flight 370 with an offer of sympathy and compensation to the families of its passengers. 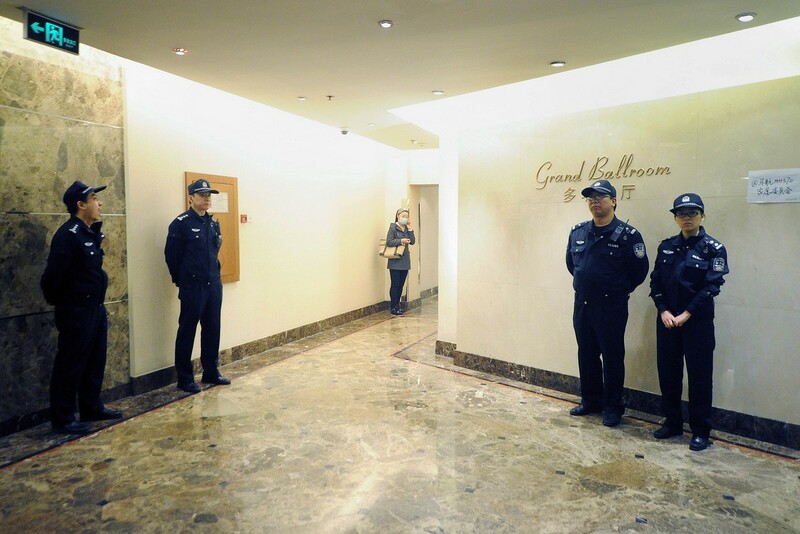 Speaking at a press conference in Kuala Lumpur, Malaysia, on Tuesday, a top airline official declined to speculate on the ongoing investigation into fate and whereabouts of the plane, saying the focus is now on the families of the victims. 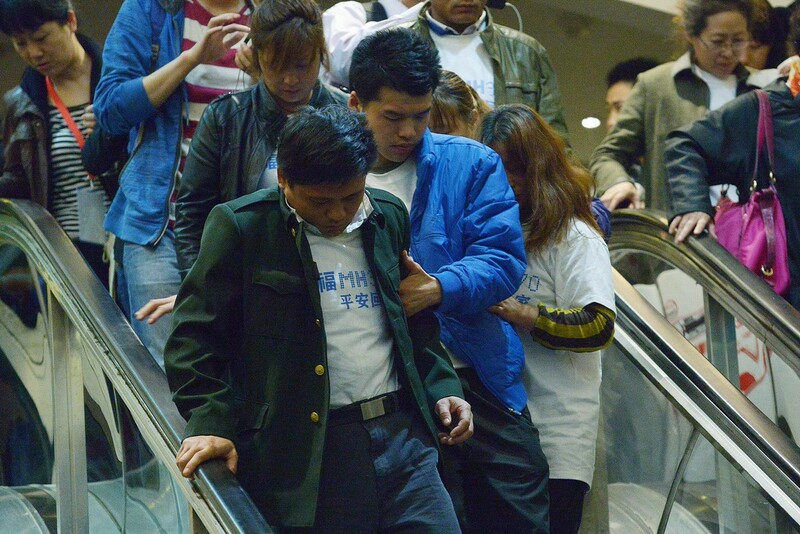 "This is a sad and tragic day for all of us," the official told reporters. 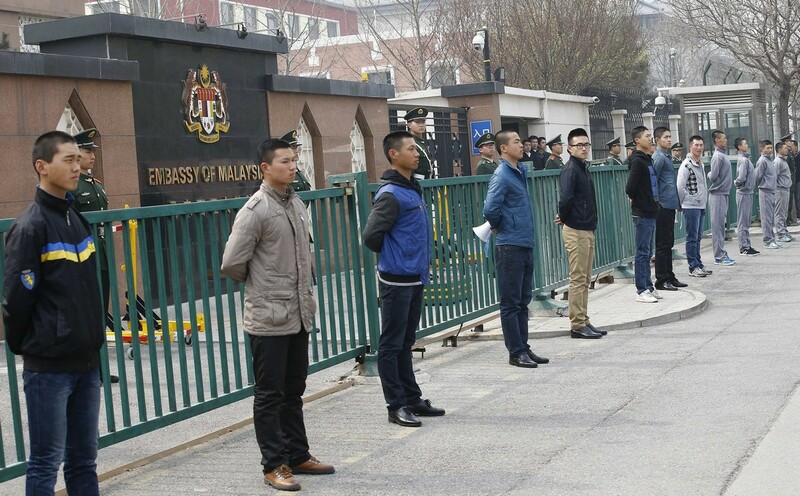 The media announcement came a day after Malaysian Prime Minister Najib Razak, citing new satellite imagery, said that the plane was believed to have crashed somewhere in the southern Indian Ocean. 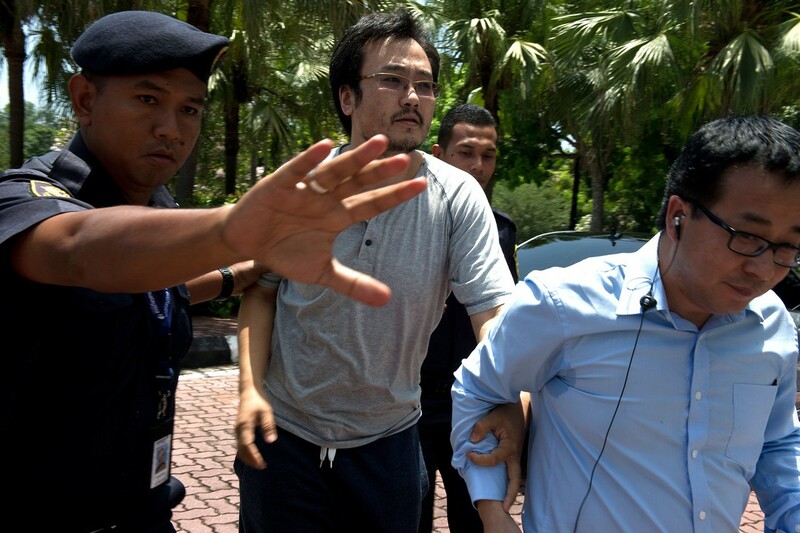 "This is a remote location, far from any possible landing sites," Razak said in a statement. 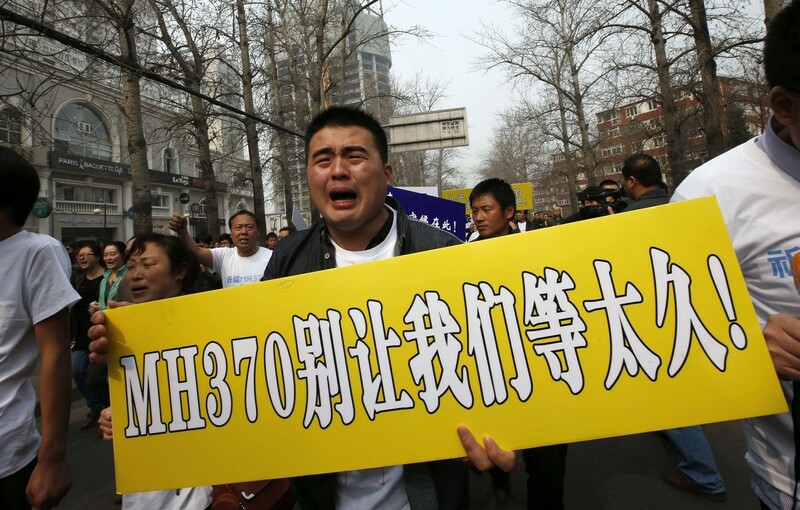 "It is therefore, with deep sadness and regret, that I must inform you that, according to this new data, flight MH370 ended in the southern Indian Ocean." 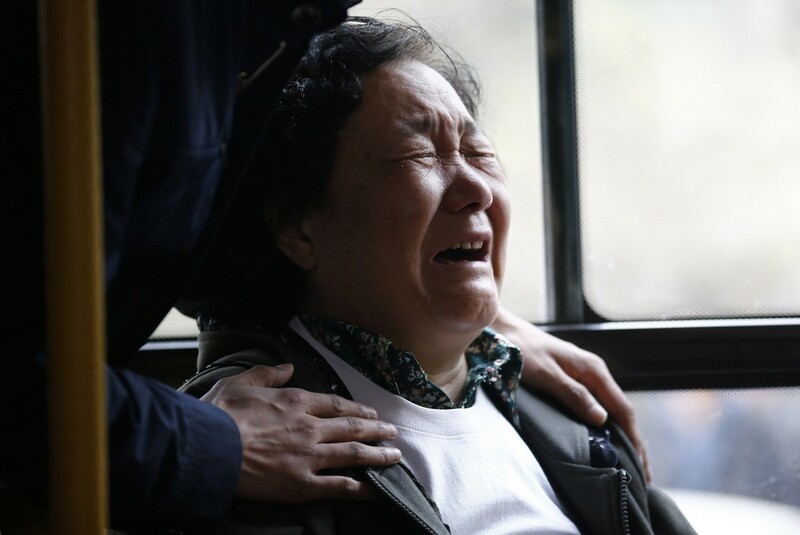 Malaysia Airlines has so far offered US$5,000 (S$6300) to the next of kin for each missing passenger, and has hinted at additional compensation. 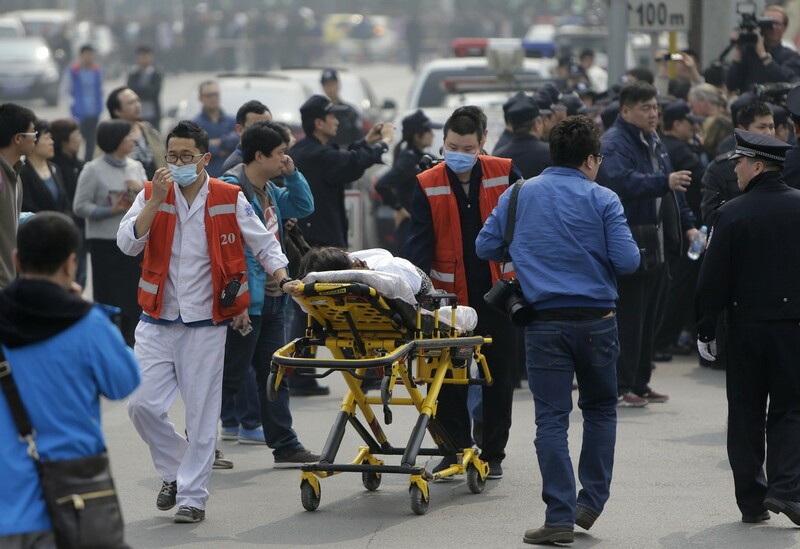 The airline also addressed criticism that it had informed some family members of their loss by text message by saying it used "SMS as only a last result to ensure that more than 1,000 family members heard the news from us"". 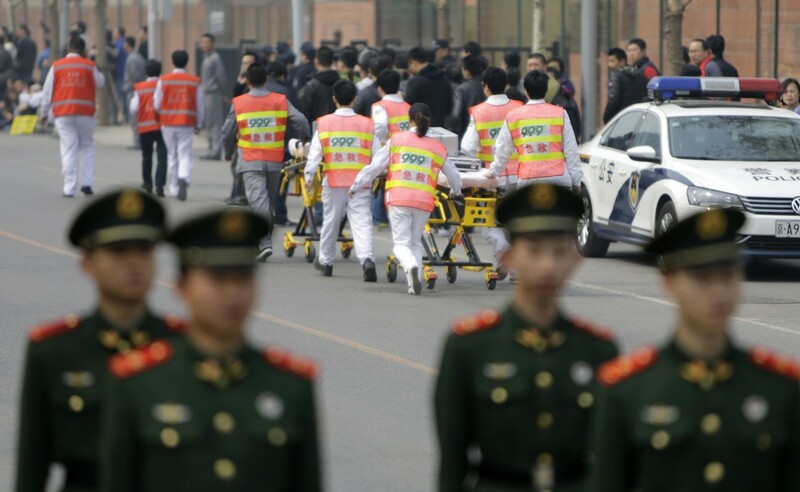 Earlier on Tuesday, Australian authorities said harsh weather had forced the suspension of search operations in the areas of the sea where debris was suspected to have been found.